The first thing you’ll notice when you pick up the Wilson D100 driver is how light it is – which is a big surprise as most drivers now are lightweight but the guys at Wilson really have done a great job bringing down the weight by so much. It all adds up to plenty of clubhead speed. And boy does this lightweight beast generate some clubhead speed. I took the D100 driver and 3-wood on my tour of South Wales playing seven courses in four days and I have to say I’ve never hit so many drives over 300 yards – the best coming at Cardigan Golf Club on the 446-yard 14th where I had 102 yards left to the pin, a drive of 334 yards on a beautiful sunny day. I must admit I felt like Bubba Watson. The D-100 comes ready to play – no adjusting, no weights, just head cover off and smash away. The other immediate impression is the great sound at impact – pure perfection, I loved it. Add to the driver the 3-wood, which sits perfectly behind the ball and gives off the same beautiful sound at impact, and these are two clubs I would definitely recommend you try. 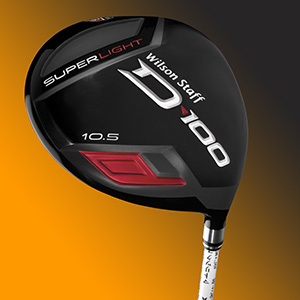 The Wilson Staff D-100 driver is the brand’s lightest yet, the Right Light™ technology delivering faster clubhead speeds which result in greater distances. 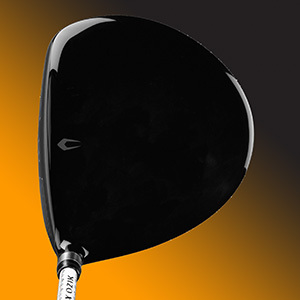 Wilson’s enhanced cup face design and variable face thickness technology helps fire the ball off the face quicker and works in combination with the variable thickness in the clubface, giving the driver a larger sweet spot for plenty of forgiveness on off-centre drives. All none-essential weight has been moved lower in the clubhead, helping the driver attain a deeper centre of gravity and heighten the launch angle, which increases the MOI to aid forgiveness. The D-100 fairway woods are again some of the lightest 3-woods that I’ve played with, and like the driver use Wilson’s Right Light™ club technology to give you maximum clubhead speed at impact. 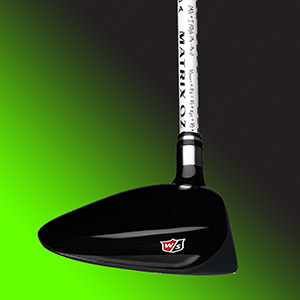 The low-profile design helps the club sit behind the ball perfectly at address and also aids forgiveness. 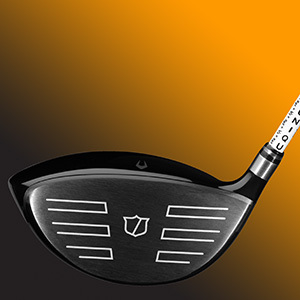 The centre of gravity in the 3-wood has been moved nearer the heel and slightly back in the club head. This does two things: firstly it helps get the clubface square at impact and secondly improves the launch angle and spin rate of the ball. Firstly these are great clubs and I would heartily recommend you give them a test. Like me you’ll be surprised just how good these clubs really are when put to the test – the technology is up there with the major players in the driver and 3-wood category. And secondly they’re at a fraction of the price of the market leaders. When you get the same for less in these austere times, that combination has to be a winner. Re. 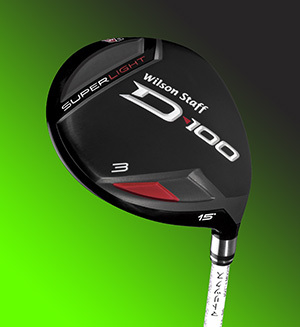 The Wilson Staff D-100 driver. Trying to find one. I never hit so long drives as with this club. But; never owned one. And cant find anywere to buy it. Tried it first time in 2013-2014. And 1 month ago in Portugal. Both times using my (lucky) brothers club.